KUCHING: The release of Datuk Seri Anwar Ibrahim today, a week after the stunning victory of Pakatan Harapan (PH) at the polls, has given Malaysians even more reason to rejoice, said state Parti Keadilan Rakyat (PKR) chairman Baru Bian. According to Baru, it provides evidence that wrongs are being righted, and that the country is being steered back on the path of truth and justice. “We have truly been liberated this 14th General Election (GE14), and Datuk Seri Anwar Ibrahim’s release is a manifestation of the freedom and lightness of spirit that Malaysians have felt these past seven days,” he said in a press statement today. Baru, who is the newly elected Selangau MP and Ba Kelalan assemblyman, said he was thankful that the release of Datuk Seri Anwar Ibrahim came earlier than expected, and the process went on smoothly, due to close co-operation between the Prime Minister Tun Dr Mahathir Mohamad and all parties involved. “At his press conference, Datuk Seri Anwar Ibrahim gave his assurance to the people that he has no doubt that the PM is committed to Pakatan Harapan’s agenda for reform, and that it will be achieved. It was Tun Mahathir who joined PH, and not PH that joined Tun Mahathir. “This is significant in that it shows Tun Mahathir had agreed with our agenda. The question of age is irrelevant here, as all Malaysians, irrespective of race, religion and age group came together as one determined and unstoppable force on May 9, 2018 to show the politicians in Malaysia that we want change. Baru said it was gratifying to hear Datuk Seri Anwar Ibrahim magnanimously say that he holds no grudges against Tun Mahathir and former Prime Minister Datuk Seri Najib Tun Razak, and that his vision is firmly focused on the future. “If this man, who has endured years of imprisonment and suffering, can forgive the wrongs done to him, the people of Malaysia can emulate his generosity of spirit. Those who have done wrong must be held accountable for their crimes, but we as the people of this country must move along with the new government towards healing and reconciliation with one another. Baru noted that Anwar had said that he will have no role in the cabinet, and that the Prime Minister and Deputy Prime Minister Datuk Seri Dr Wan Azizah Ismail must be allowed to get on with the job at hand together with the leaders in PH. 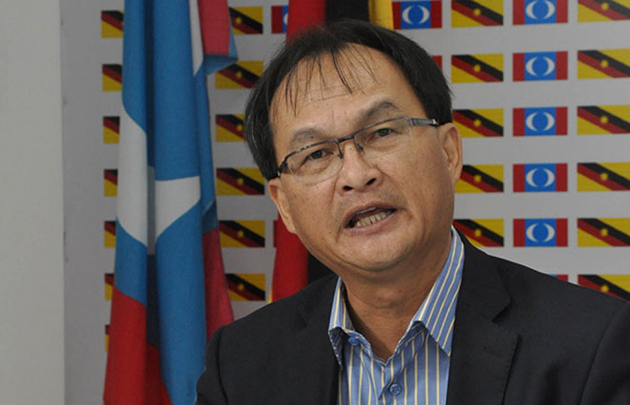 As the Prime Minister gets down to the serious business of government, Baru said: “We have been assured that Sarawak will be given the opportunity to participate fully in the running of the country, as envisaged by our forefathers when the Malaysia Agreement was signed in 1963.